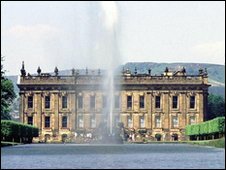 Community leaders in Derbyshire have met to consider putting together a bid for Derby to be named the UK Capital of Culture in 2017. Council leaders, dignitaries and business owners were at Pride Park to take the first steps towards putting together a £10m package. Officials said lessons had been learned from the failed effort to be part of England's bid for the 2018 World Cup. They said being awarded the title could have huge benefits for the county. A decision on whether to go ahead will not be made until later in the year, when the winner of the 2013 title is announced. The funding is expected to come from local councils, business sponsors and grants from bodies such as Arts Council England and Sport England. The city had put itself forward to host games for the 2018 World Cup if England won the right to host the competition but it was not chosen as one of the shortlisted venues. Helen Osler, the city council's assistant director of cultural services, said a potential bid would involve improving Derby's venues and promoting the county's stately homes and outdoor activities. She added: "It's about putting something together that is surprising and different - it's not necessarily about trying to be like Liverpool. "We put together an amazing bid for the World Cup, it was just disappointing we didn't get it, but there's a lot in there we can build on. "We need to put Derby a bit more on the national stage. "The economic benefits of being named European Capital of Culture for Liverpool have been enormous, and there has been a huge social impact as well in the way Liverpool is viewed." She said that even if the city did not stage a bid for the right to hold the title, a range of activities could still be set up across the county to showcase the work that has been done. Could Derby be a culture capital?